Content creation is an essential part of a marketer's day-to-day job. From drafting ebooks to promoting webinars, we have to be creative and concise with our writing in order to engage our audience. However, finding the right words can be tough -- especially when there is limited space. I'm sure we've all struggled with having just one too many characters in a tweet (I know I have). Creating search ad copy is similarly tough. It's crucial to craft just the right copy to draw your potential customers in and make them interested in your offer. So how do you stand out in just a few words? We’ve put together a list of best practices that will help you boost your ad performance in no time. 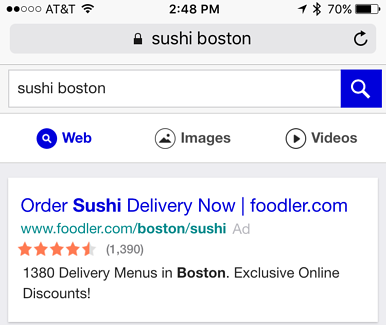 First things first: What does a search ad look like? Search ads are ads that appear when a potential customer searches for your product (or related item) in a search engine. They are small snippets of text that sit right above or below the top-ranked results. If you've ever searched for something on Google, you've likely seen a search ad. Headline: This is an eye-catching title that describes your company or product and uses your chosen keywords. Display URL: This is the URL that you'd like the ad to link to. It's always a great idea to click and make sure the URL is live and working properly. Ad Copy: Time to get creative! The copy of the ad is what will make your brand stand out. This is a good place to put the description of your offer. Now that we've gotten the definition of a search ad out of the way, here are 12 tips for writing quality ad copy and making the most of the limited space. 1) Highlight what makes your brand unique. With so many brands out there, it's essential to make yours stand out. So if you offer shipping to multiple countries, say that. If you specialize in a certain product or service, make sure to mention it. If you have happier customers than your competitors, call that out. Notice how JetBlue highlights the key offerings that make their brand unique in the search ad below: free WiFi, unlimited snacks, and most legroom in coach. All these features could make a potential customer interested in JetBlue and compel them to click on the ad. 2) Attract your ideal customers with a special offer. Because you only have so much space on a search ad, including your special offer will make customers more likely to click. Do you offer a free trial? Perhaps free shipping, if your company is in the B2C space? These features make for perfect headlines that will grab a potential customer's attention. As you can see in the search ad below, Gap uses "40% off purchase" and "free shipping" to draw in their customers. A potential customer who might have been hesitant to try Gap because of the price could now be more likely to click, familiarize themselves with the brand, and maybe even purchase -- all because of the special offer. 3) Include an actionable CTA. In order for an ad to be effective, it needs to prompt customers to take an action. 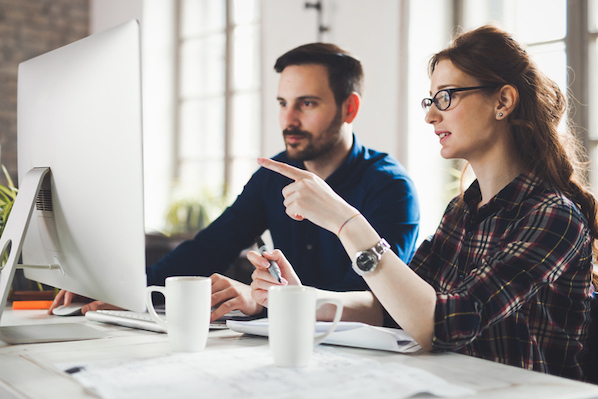 Whether it's filling out a form, starting a free trial, or ordering now, actionable language prompts a desired behavior. You can see this in action below. Time Magazine uses actionable language in their ad to compel the viewer to subscribe. 4) Include at least one keyword. Keywords are key (pun intended) for your ads to perform well. We suggest including at least one keyword in your copy so that customers looking for a product in your industry can easily find your brand. For example, if you sell soccer shoes, you'll want to include that specific phrase in your ad copy. If a customer searches for that keyword, it will appear bolded in the ad. Strike a balance between general and specific. Choose keywords that are specific enough to target your primary customer persona, yet general enough to generate brand awareness among those searching more broadly. Pick the right amount. Google suggests that you include 5-20 keywords per ad group, affording you plenty of room for both specific and generic keywords. If you want to learn more about how keywords work with search ads, check out Google's keyword advice. 5) Keep your ads current. There's nothing worse than clicking on an ad for free shipping just to find out the offer expired yesterday. Keeping your ads current and relevant will ensure that prospects have a positive and pleasant user experience, and eventually become paying customers. It's also a best practice to address a new product release, updated pricing, or even bad press in your ad copy when applicable. If customers search for your business and expect to see a relevant update, it's crucial you include the latest in your ad. Studies show that incorporating numbers and statistics into your copy can make it appear more accurate and credible. Not to mention that the more targeted and specific your ad copy, the better it can perform. If you add statistics, discount percentages, rankings, or reviews to your ad copy, prospects can be more likely to read and click. Numbers are easy to digest, and help people understand what you're offering them. 7) Match your ad copy to the landing page. As marketers, we know the importance of having great landing page copy. But once you start using ads to support your landing page, consistency between the two becomes critical. Don't promise a user a free ebook in a search ad if the ebook is not actually free, or tease a 10-day trial when there is in reality no trial at all. Customers value consistency, and they're more likely to believe in your product if they are confident in your offerings. Going back to our soccer shoes example, Soccer.com uses a search ad to promote $4.99 shipping on orders over $99. When a user clicks their ad, they're taken to a page that prominently features this offer. According to a recent HubSpot Research study, 33% of respondents said their primary device was their phone. This means it's critical to ensure your ad copy speaks to mobile users as well as those searching on laptops. If a customer is trying to find out more about a product or service from their mobile phone, it's in your best interest to guarantee they can learn about your brand just as easily as on their desktop. Standing out from your competitors is key when composing search ads. Your copy is what will differentiate your brand from others in the industry. 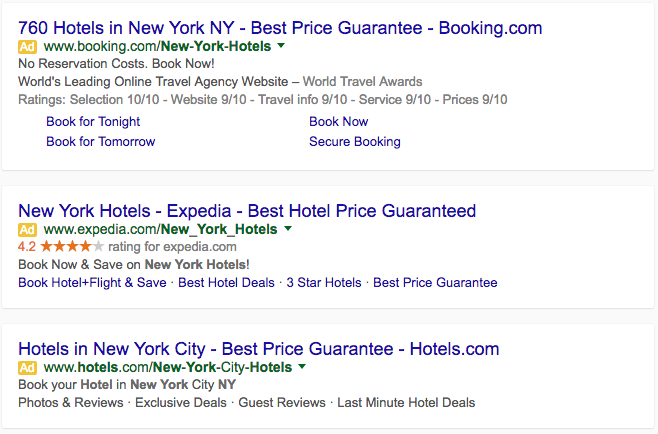 Here are three search ads that come up when you Google "hotels in New York." 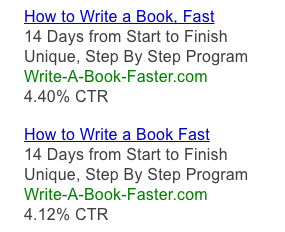 The latter two websites have almost the exact same ad copy, but the first result is a bit different. Booking.com is likely watching their competitors very closely and knows their differentiated copy is what will attract clicks. 10) Personalize to attract your target audience. Are you trying to reach college students searching for textbooks? Or perhaps last-minute shoppers who forgot to buy their friend a birthday present? 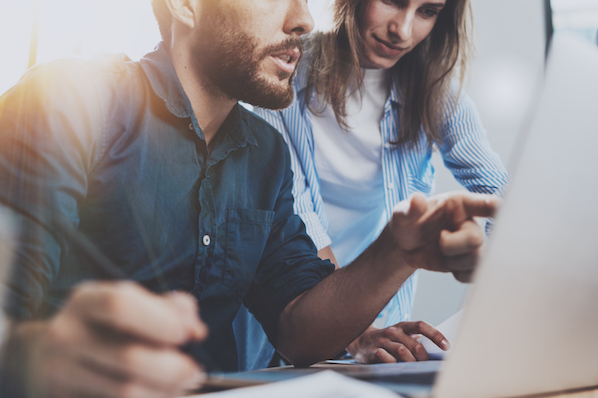 Understanding precisely who you're going after will help you craft personalized copy that resonates with your target audience, and speaks to their pain points and needs. Ready to take your personalization to the next level? Give Google's Customer Match tool a try. Customer Match allows you to target your ads to specific users and personalize the copy that each of those users sees. 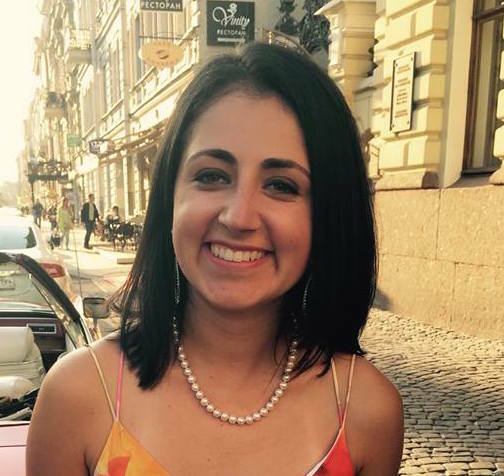 For example, if you work for a travel company that offers a loyalty program, you could target customers that just joined the program with copy like, "Get the most out of your loyalty club membership." Conversely, you could hone in on people who haven't yet joined the club -- "Loyalty club members save $X per year. Join today!" 11) Triple check for spelling and grammatical errors. You would be surprised how many ads contain spelling, grammar, and/or punctuation errors. And these mistakes can take a toll on your brand. Notice anything funky with this steak house ad? First, it's missing a period between "seafood" and "Best." It then follows by a pretty egregious "manhatten" misspelling. Lesson: Solicit the services of a proofreader before you publish your ad. 12) Experiment with your copy. Just like you experiment on landing pages, emails, and site pages, it's important to always be testing your ads. There's no better way to determine what resonates with your target audience and what falls flat than to test. Whether it's experimenting with CTAs, language, offers, or keyword usage, your tests will help you create maximally effective and relevant ads. Not sure what experiments to try? Consider adding new keywords, featuring new ad copy, or using different targeting. Then, decide what percentage of your auctions should feature the experimental version of the ad. WordStream performed a test where they added a comma to their ad headline copy in one variation, and took it out in the other. Just that one change increased CTR by .38%! This goes to show that tests don't have to be complex -- tweaking small variables such as punctuation, word order, or even vocabulary can make your ads that much more successful. These tips will help you create lovable search ads that people love to click. And we're willing to bet you'll love your engagement metrics after implementing some of these tactics. Have any suggestions we might have missed? Let us know in the comments section below.